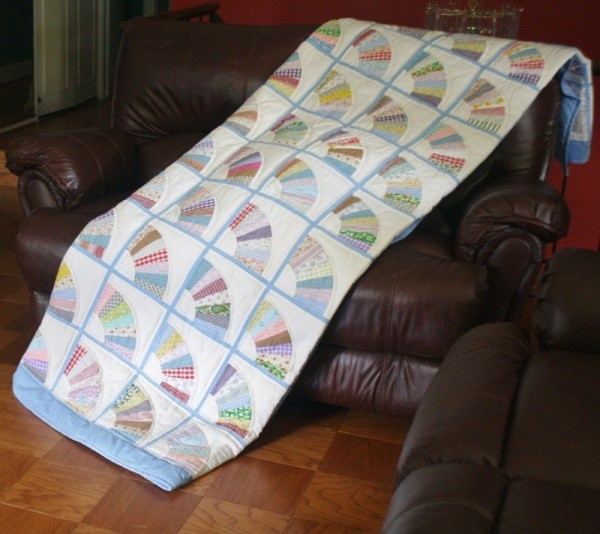 Give your bed a vibrant look with this handmade, quilt. We name this one Emily for is mix of Traditional pattern and cozy feel. Emily is a zesty blend of light and dark prints in a wonderful quilting design favorite. Traditional Décor – Combines traditional and modern elements to bring the best of the past into your home. Shabby Chic Décor- A beautiful mix of soft colors with an elegant pattern. 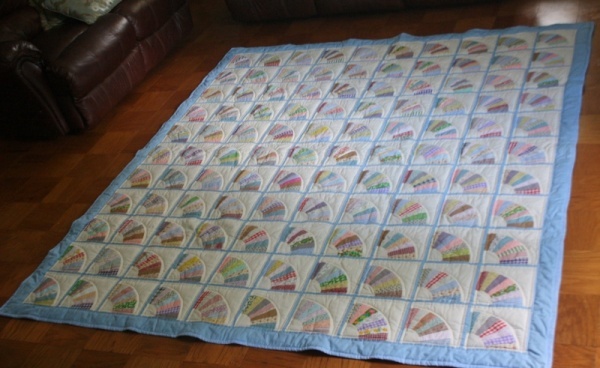 You will adore how this one quilt can transform any room in your home. Go make your home beautiful. 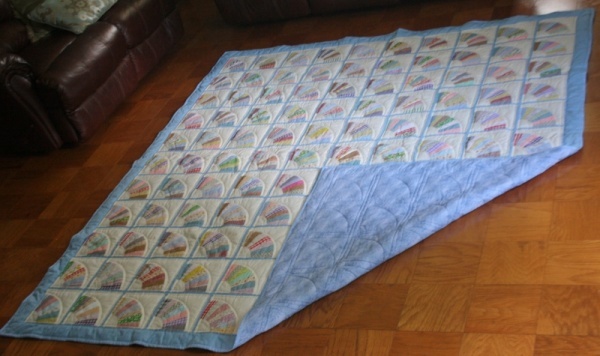 Get this wonderful handmade quilt today. P.S. The backing is a medium blue with delicate leaves. Face and blue leaf lining is 100% cotton with a 100% cotton with poly batting. Dry Clean or Machine Wash cold/gentle, no bleach, line dry. Pattern and size may vary due to handcrafting.